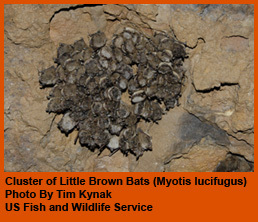 The goal of the BatsLIVE: A Distance Learning Adventure is to raise the awareness, understanding, and appreciation of bats and the unique karst and cave ecosystems that many bats rely on. Raise appreciation of bats for their ecological role, and their unique and diverse life histories. Increase understanding of bats and their importance to the environment. Confront myths and common misunderstandings about bats, leading to increased appreciation and understanding. Increase understanding of karst and cave ecosystems. Raise understanding of White-nose Syndrome (WNS) and of the actions being taken to combat WNS. As appropriate for various audiences, take action for bat conservation, whether it is building bat boxes, becoming community bat “champions”, or becoming more actively involved in bat conservation efforts. Understand the role of citizens, public land management agencies, and non-governmental organizations in protecting and conserving habitat.